Landscape designers are now in great demand. This is primarily because people are now very particular about the way their homes look, and they want to ensure that the outdoor spaces on their property look as stunning as the indoor spaces do. Property owners are making a lot of effort to understand what the new trends in landscape design are today. Getting the services of a professional company to design outdoor spaces to your specific likings and requirements is a good idea. We at Scapes and Stones are a company that caters to customers throughout greater Las Vegas, NV and surrounding regions. We are one of the most reputed landscape companies in the region and have a large number of repeat customers as well. We handle new landscape design and installation projects as well as garden and yard upgrade projects. It helps prevent mistakes - There are times when customers approve the designs but don’t like the end result and then the landscapers have to make the necessary changes, which leads to additional hassle and expense. 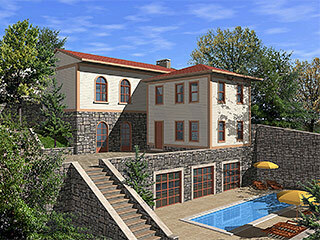 However, when we use 3D landscape software you can see exactly how the features and materials look. In case changes are required, they can be made at that time itself. 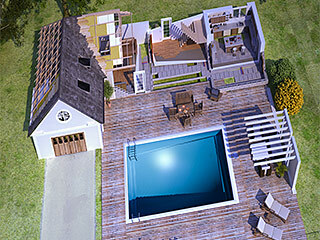 3D views - It’s a great benefit to be able to see how your garden and yard will look from different angles. Without his kind of software, it isn’t easy to visualize this. This gives you the opportunity to make any alterations you need, in the planned features. You will find that these services are available at very reasonable 3D design cost. Speak with the Scapes and Stones experts at this number 702-278-3228 and give us some more details about your project. You can also contact us through our online form and we will respond shortly.